Nicki has been all over social media ever since she released the Queen album. She hasn’t been discriminating at all, picking on men, women, streaming sites and even babies! But one feud that’s dragged on is the one with Cardi B. 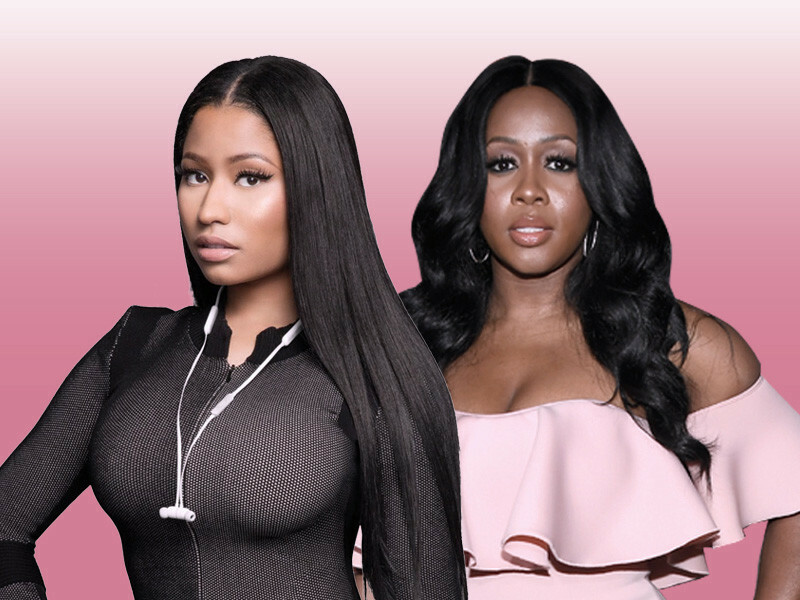 The two were first rumoured to have had beef, then they started to throw shade at each other but kept denying that they were addressing each other then Nicki used her Queen radio to address these rumors, confirming that yes, there was a problem and oh, then there was the fight at the New York Fashion Week where Cardi had to leave with a bump on her head. Nicki Minaj threw jabs at Taylor Swift in a tweet after she didn’t get nominated for video of the year at the 2015 MTV Video Music Awards with her Anaconda video. She tweeted “If your video celebrates women with very slim bodies, you will be nominated for video of the year”. Clearly, she was referring to Taylor Swift’s video, Bad Blood which had a slew of models in it and was nominated. Taylor responded with “I’ve done nothing but love & support you. 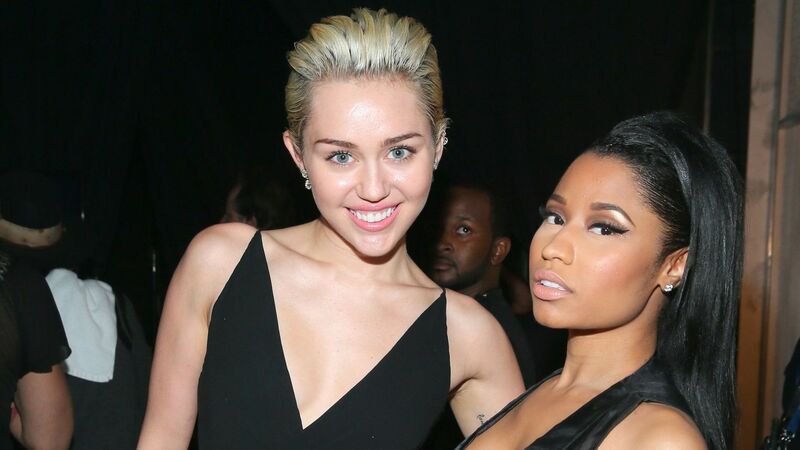 It’s unlike you to pit women against each other” Nicki later apologized and all’s good now. The two stars were judges on the 12th season of American Idol and didn’t have a great relationship at all. They reportedly got into a lot of arguments. Mariah basically felt that Nicki didn’t sing well enough to be a judge and well…Nicki got tired and one time, after a yelling match, Nicki threatened to shoot Mariah lol. This beef started right from the time Nicki ‘broke out’. People found out her style was very similar to Lil Kim’s and she did admit one time that Lil Kim influenced her rap. However, Lil Kim was not impressed and flat out accused Nicki of copying her. Nicki’s Pink Friday Album had a lot of shots being thrown at Lil Kim and well…the Queen of Queens wouldn’t have that so she responded with a whole diss mixtape she titled ”Black Friday”. Nicki threw shade at the Australian MC for not writing her own lyrics at the 2014 BET awards and that’s only because Iggy claims, she Nicki doesn’t write her own raps too. Really Iggy?? Clearly, Nicki’s had a lot of trouble with different female artistes and it’s probably because she no dey like sh*t! But back to her current feud with Cardi, in as much as it’s entertaining, can the two just give us a track together? Squash what Nicki called nonsense and just give us a banger cos new music from our two favourite rappers never hurt anybody right? Cardi B Is Reportedly Dropping Another Song With Bruno Mars! UG: 5 Things You Must Definitely Do Before The Exam Season. UG: Did You Miss R2Bees’ Performance?? Here Is All That Went Down.